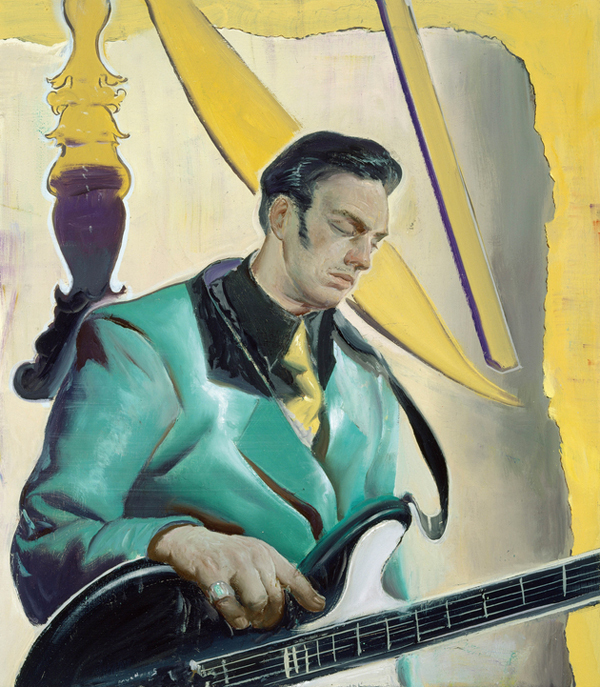 The Obsession of the Demiurge, a solo of German painter Neo Rauch. Curated by Harald Kunde, the exhibition presents selection of Rauch’s works from 1993 till today. 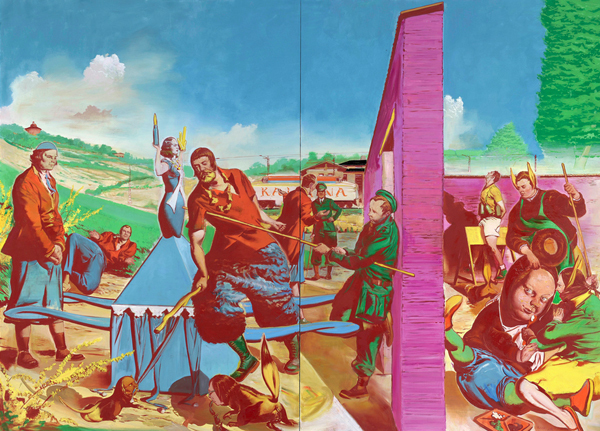 Born in 1960 in Leipzig, Neo Rauch is one of the key figures of the New Leipzig School. 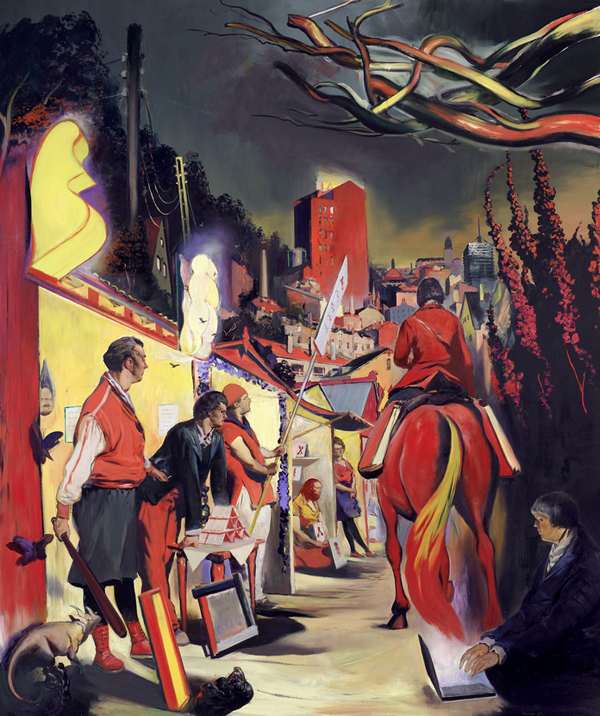 His painting style is a combination of realism and surrealist abstraction, usually showing people engaged in manual labor and other (undeterminable) activities within industrial settings, barren landscapes or banal architecture. If you like absurd, you’ll be hooked (possibly otherwise too). This is the artist’s first major solo in Belgium. It will be on display at Bozar till the 5th of May. 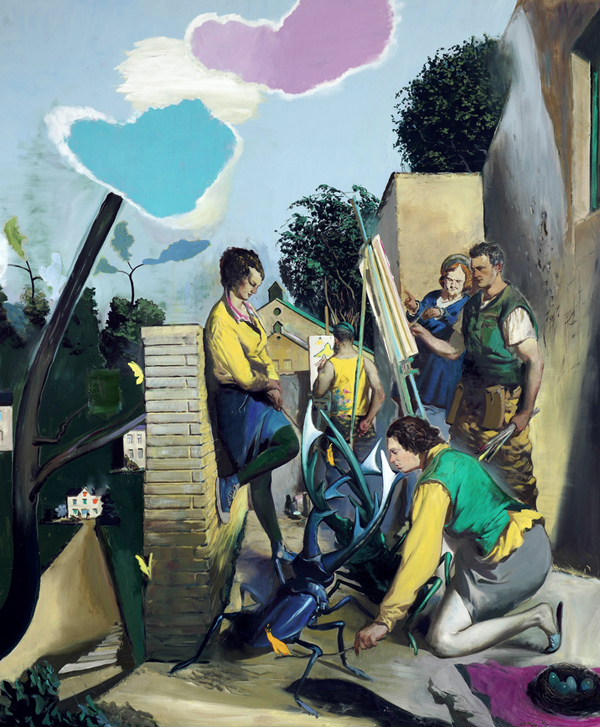 Neo Rauch is represented by David Zwirner in NY and Eigen+Art in Berlin. Previous exhibitions include his 2007 solo at the Met in New York, 2010 Begleiter show at the Pinakothek der Moderne in Munich and the Leipzig Museum of Art.